While it seemed to get off to a rather slow start, it quickly picked up the pace and became a well-written spy-yarn and filled with rich images and suspense. 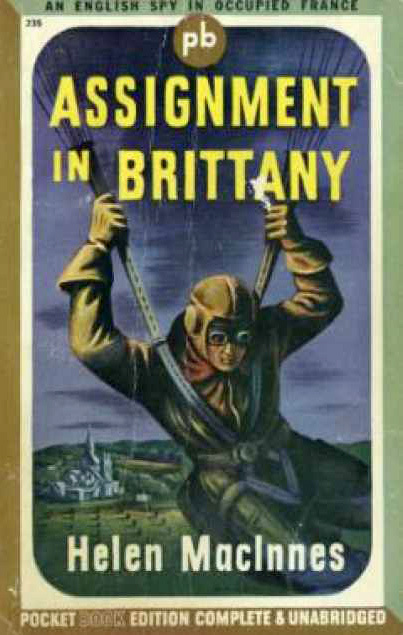 The plot follows a British agent, our hero Hearne, who is discovered to be the spitting image of a guy who had been picked up wounded in a battle with Axis forces, one Bertrand Corlay. This fellow Corlay, a Frenchman from Brittany, will spend the rest of the war in the hospital. Here is an opportunity to send Hearne in his place. Hearne learns him well, his language nuances, his town, the people there, what they do and who they are. Hearne learns Corlay’s business, and even had a cosmetic birthmark applied, which comes in handy later. 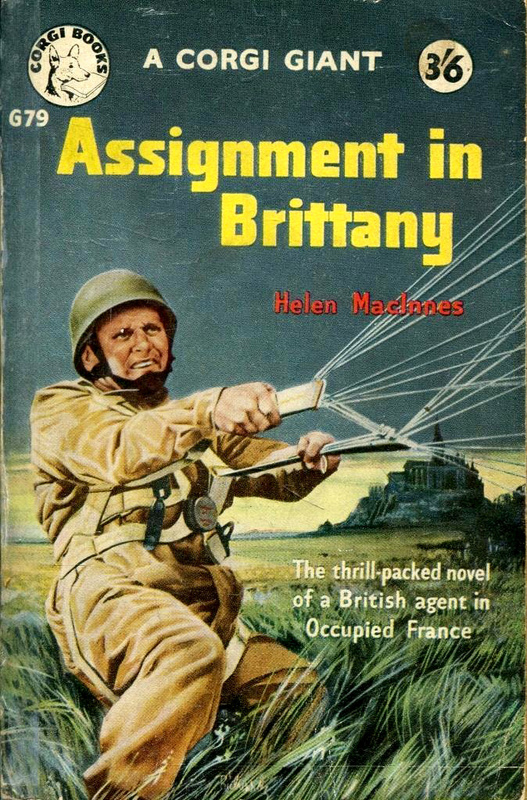 He is going to drop in by parachute, take up the role of Corlay, and find out all info about the state of things in Brittany, and report back regularly. After all, the war effort includes a coming invasion almost two years away, so any kind of intel about the Nazis is vital intel, especially in this area where a future invasion might occur. Can Hearne pull off the doppelgänger assignment? We learn quickly that there are things Corlay did not tell Hearne, especially once he realized why Hearne wanted to know everything about him. Would Hearn fool Corlay’s own mother? His betrothed? The farm hands? His mistress that he didn’t know about… More importantly, would Hearne be able to move seamlessly into the role that Corlay did not even mention, his darker side? Would you tell some stranger who looked just like you every secret you kept? They say that if you just boldly act like you know what you are doing, you can pull of miracles. Or as Buchan wrote in Greenmantle about the awful Colonel von Stumm – that is, treat the Germans with a radical brazen audacity – you can pass muster as who you purport to be, despite the chinks in your armor. I loved Hearn because he did just this with great gusto. It was all or nothing with his act, and it bought a few seconds, sowed a few doubts, provoked a hesitation or two. This is a fantastic plot that moves along with just the right balance of rich detail and action. MacInnes has the ability to craft a scene, a place, and characters. I found myself scouring maps of north-western France for some of the place-names so I could examine the land on Google Maps’ street view. Besides the obvious larger cities, I discovered like so many readers, that the places are mostly fictional. 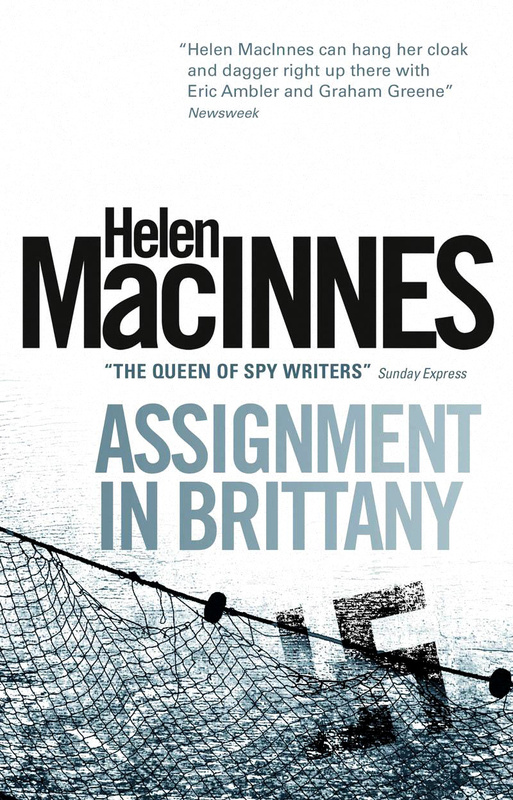 That said, MacInnes’ travels, familiarity with the languages and nuances of regional cultures, and her experience in Brittany gives her credible subject-matter authority. The Breton culture, its rebel attitude, its mistrust of outsiders, shine through and form good plot-moving devices. The condition of the minds and hearts of the locals is well presented. As for writing craft, she excelled. There was a fishing village with a lurid and run-down pub called Golden Star that was so vivid I felt like I was there. I could feel the damp night and smell the mud flats. In my mind I had visualized the proprietor, a burly old salt named Louis, as soon as I had met him. It was one of those ‘scenes’ that seems to represent the whole book when you think back on the story as a whole. MacInnes knew spy craft very well, and if you were sharp you picked up some good observational advice. Like how one guy was a bit too liberal with the use of cooking oil while everyone else in occupied France is scraping by and using as little as possible. That clue, combined with a few others, show that the cook might be in the pay of the enemy. Assignment in Brittany was full of practical little observations of that sort, which made it a useful training tool for men heading behind the lines. These are the details that shine. The end of the story is frequently maligned as sentimental sap. Indeed, it resolves a sub-plot, and it is a bit sappy. But this is easily overlooked and outweighed by the rest of the story. I ended up skimming the last chapter once I knew how it resolved. There was the tragedy of it: if only they could have realized the danger while there was still time, while they were still free to carry a gun and still free to make guns for themselves. Instead, they would now find that it costs three times as much to retrieve a position as it takes to hold it. It was a refreshingly excellent story in terms of its avoidance of cheap thrills and base filth. 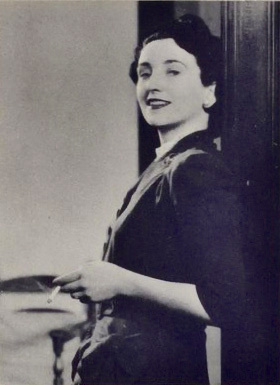 She wrote cleanly while leaving out no gritty details, even making known the steamy affairs of a femme fatale with skilled taste. She did not need to resort to the graphic crudeness and perverted imagery of lesser authors, she is a real writer. Indeed, my hardback edition was a used library copy from a midwestern American high school, which means nothing in today’s hyper-sexualized, humanistic state schools, but through the mid-sixties, its vetted presence on the shelf meant something. So I would suggest this book to anyone interested in the subject of espionage, World War II, France, or just good thrilling stories that aren’t template-tales and aren’t filled with crude brain-rot. 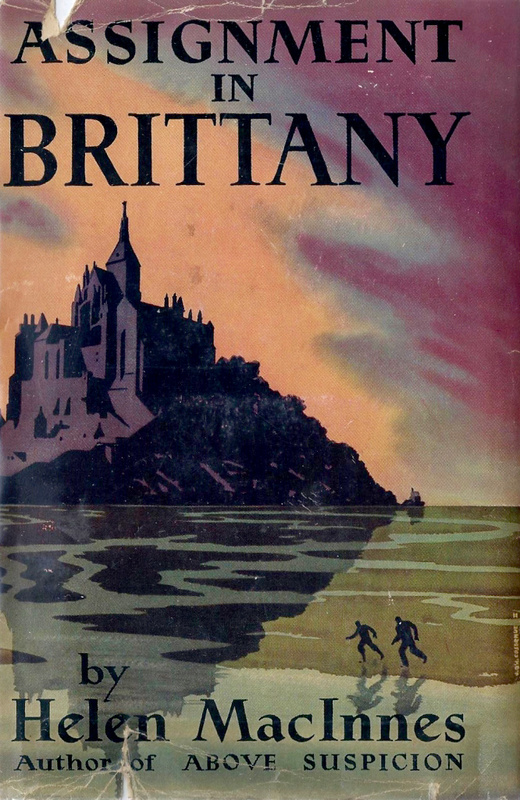 Assignment in Brittany was a thrilling tale with a unique plot, and gave me insights into the French condition I would not have had without. If I had to rate it with stars, 4 out of 5. For full disclosure, I did read most of this book while thoroughly enjoying a well-earned few days of vacation, which always makes a book better received. Still, I’m going to have to look for more works by MacInnes, especially of this period.